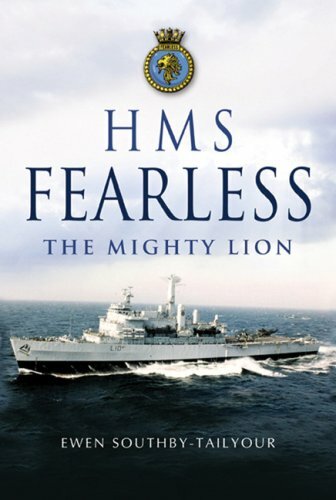 This book was written at sea, on HMS Fearless, during evenings sat down in front of the technical office computer, as the ship gently swayed around me. It was almost written as it happened. Once each event had occurred, the requisite chunk was written and sent on to the close-in-range weapons workshop where Terry captured the mood of each occasion deftly with his pen and ink illustrations. 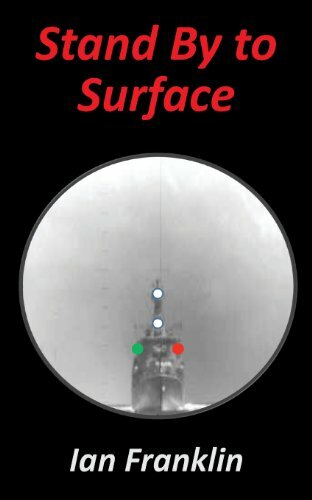 It tells of the events during one year near the latter end of the life of the Fearless; one of the Royal Navy’s most unique ships, both in history and construction –not to mention the human and mechanical idiosyncrasies that seemed to be in manifest abundance within its metal hull. The Fearless was a left-over from a previous generation of ships; the last steam powered vessel in the Royal Navy, and as such, its crew were also a left over; many had been coming back to it time and again from as far back as the ‘seventies. This meant that it was also ‘Old Navy’ in the outlooks and attitudes of the ship’s company. 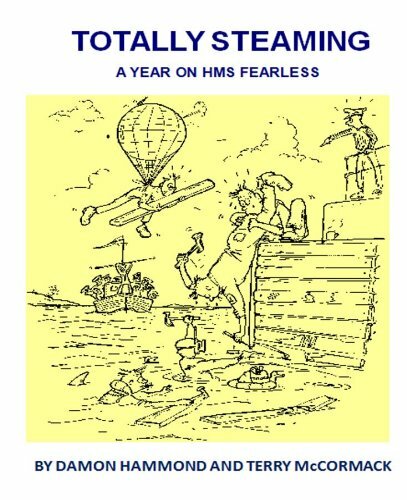 The story is told from the point of view of the lower deck, to be precise from that of NCOs, and attempts to capture the tone and humour and attitudes of that now-vanished microcosm of Navy Life. For that reason it is unapologetically ‘politically incorrect’, and is not in any way a reflection of the Navy as it is now. Moreover, the opinions expressed within are those of the author and the people he knew and in no way reflect the policy of either the Royal Navy or the MOD. The story of one of the RN’s most well-known post-war ships which saw service around the world from the 1960s through the Falklands conflict until retirement in 2002. One of the few British designed aircraft of recent years to have seen military service. 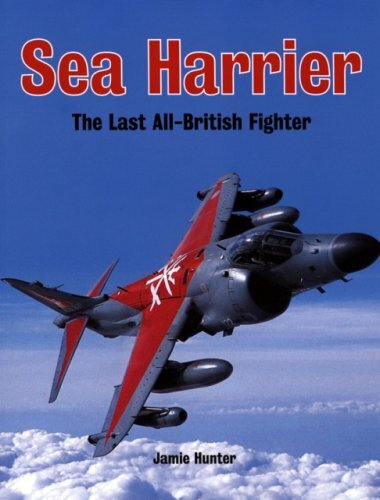 The book is published to coincide with the withdrawal of the last Sea Harrier in Spring 2005. Illustrated in colour throughout. ‘It is the mid 1960’s – the crew of HMS ORCA are off again. Scruffy and bearded; their lives on board the submarine are cramped, claustrophobic, damp, dirty and they smell continuously of diesel. Food and the odd movie are their only distractions. Yet they relish their “pirate image” and are intensely proud of being submariners. Their “routine” running period turns into an action packed adventure full of hairy incidents, fun, and the odd frolic. Setting sail from Portsmouth they jump in at the deep end, their adrenalin pumping, and the action starting from the off.’ HMS Alliance was my first submarine; today it sits on concrete blocks as the main attraction at the Submarine Museum in Gosport. It is currently undergoing a major multi-million pound refit. Readers ordering “Stand By to Surface” will be contributing towards the cost of that refurbishment. Fictional account of life aboard an ‘O’ class submarine HMS Orca. Life aboard conventional submarines were cramped, claustrophobic, damp, dirty. Food and the odd movie are their only distractions. Yet they relish their “pirate image” and are intensely proud of being submariners. Their “routine” running period turns into an action packed adventure full of hairy incidents, fun, and the odd frolic. Setting sail from Portsmouth they jump in at the deep end, their adrenalin pumping, and the action starting from the off. Touching and rare portrait of the peacetime RN submarine service in the 1960-70s operating around the UK.